If you’re writing for someone else to cut your songs and don’t perform live, you’ll need to know how to sell what you’re creating. Fortunately, targeting a product to a sales prospect is nothing new. Doing your research on your customer/prospect, tailoring your message and selecting the right product to pitch them is basic sales and marketing 101. If you’ve ever boosted a facebook post and selected a “target” – you’ve done it! You consciously found people who look like your customers or the customer you want by some sort of criteria. That criteria can be demographics, interests or geography, but ultimately your goal is to be more precise in who you target your sales efforts toward. You gave them a reason to interact with you. Pitching songs is no different. You’re actively trying to sell the product you’ve produced so it doesn’t languish on the back shelves of your warehouse, where it isn’t contributing to the bottom line of your business. In it’s most basic form, pitching songs is selling your inventory. And, since part of profit is top line revenue, let’s talk sales! Why Target If You’re Not At A Pro Level Yet? Because You Aspire To Be! This is one of the skills you should have when you do reach your goals. And, as you practice writing songs, this is a great exercise to engage in to grow your understanding of how hit songs are written. You’ll look at how a number of songs fit within a career of songs and then find opportunities within that knowledge. There’s no better way to learn professional level song craft than to study it at the song level. Targeting can be one of your best tools in not only building your song chops but also adding to your sales skills. Sales 101 Rule #1: know your prospect and deliver a product they need. You are creating new songs that have a demand in the market place. I’m not saying you shouldn’t create songs that have imagery, depth and strong personal connections. I write songs to play out as part of Amelia Earhart Returns, and songs to pitch to other artists. I don’t usually play “pitch” songs live or have them on a record. For the songs you’re pitching, be aware of which performers they may align with – that’s it. I’m not saying change your voice and writing style to fit a manufacturing process or some formula someone says exists. Great songs are great songs. But there may times that you focus more on what will work for someone else. And that’s OK. Do both – songs for you and songs for others! And, more importantly, most of the best songs don’t actually follow the “formula” that guarantees a cut. So – fly your individuality flag, but think about sales! 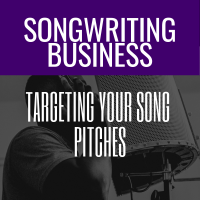 Targeting is a way of categorizing, creating and pitching a song in a way that might have a better chance of connecting or standing out to the prospect. Looking across your song inventory and finding the song(s) that fit an artist or the type of songs they sing. You might know a specific artist is looking for songs, so you’ll look through songs you’ve already created and determine which are a good fit to pitch. Figuring out what will fit into an artists portfolio, their sound, lyrically what they prefer, etc. and then write a song specific to that artist. 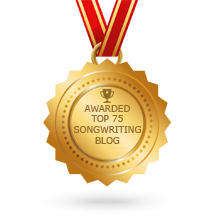 This one takes more time, but is good songwriting practice in general, so makes for a handy songwriting exercise. You’ll need to create a handy database so you can find your songs quickly for pitches. That’s best to do now versus taking notes on songs and then trying to find them later. You can use tools like Evernote or you can download this easy song catalogue. 1 Fill out each of the columns with basic song information. 2 If you’re good in excel, include a hyperlink to the song mp3 to make sure you have a quick audio file available. To do it: right mouse-click to show the options. Select “Hyperlink” and ad the url into the box at the bottom or browse and select the file if it’s on your hard drive. Once you have the basic song information down (tempo, genre, theme, etc.) move on to your artist alignments. 1 In the notes or as a new column list the artist you think the song aligns with – whose brand, sound or song catalogue do you think fits? 2 Don’t force a song into an artist fit. Some of your songs may not have an alignment – and that’s OK.